Club Facilities for Hire | Hahndorf Bowling Club Inc. The Clubroom facilities are available for private hire. This includes receptions, parties, conferences, seminars and similar purposes. 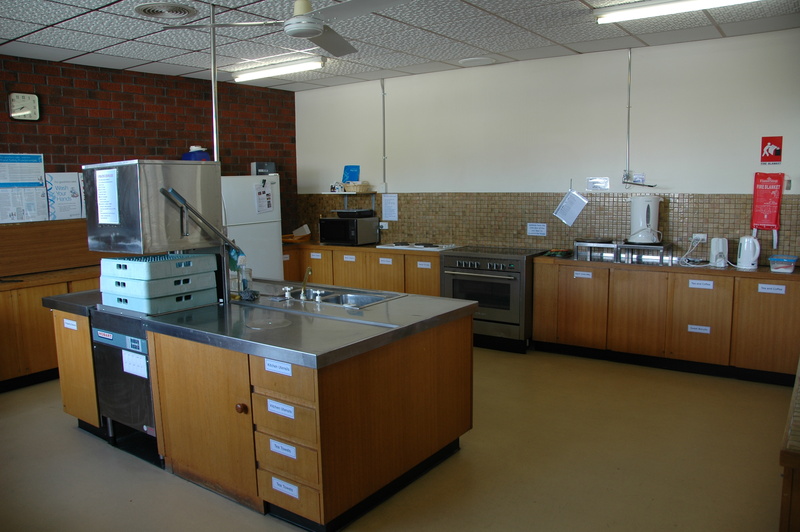 Bar and kitchen facilities are also available upon request. The photograph shows the facilities setup for a wedding reception. 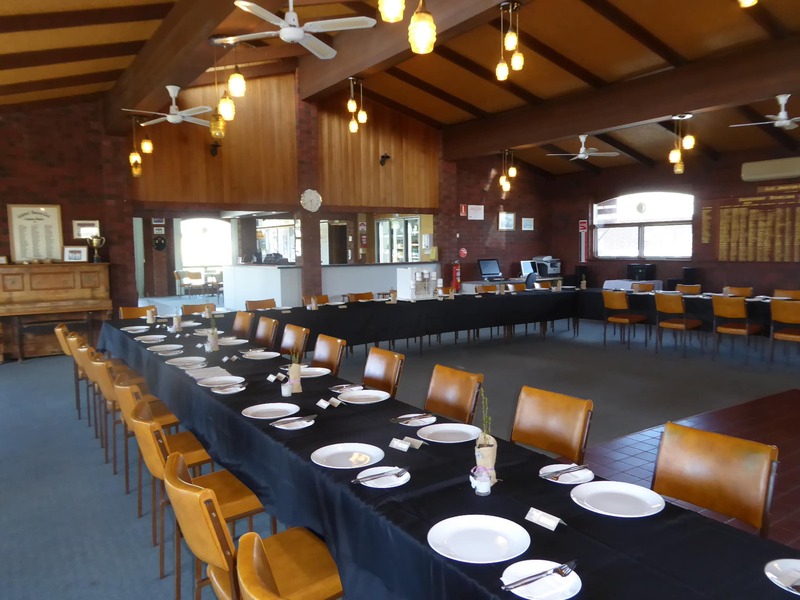 Hahndorf Bowling Club welcomes corporate groups who may wish to use our facilities. 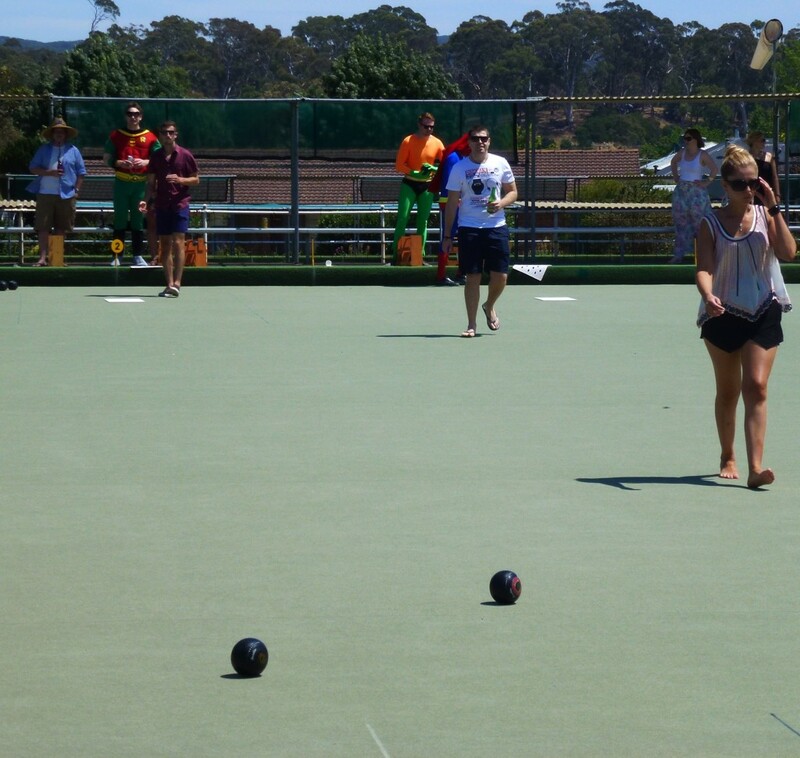 It is an ideal venue for social interaction over a game of ‘barefoot bowls’. Barbeque facilities are available. Alternatively, after a game, it is a short walk to restaurants and hotels in the main street for more substantial meals. 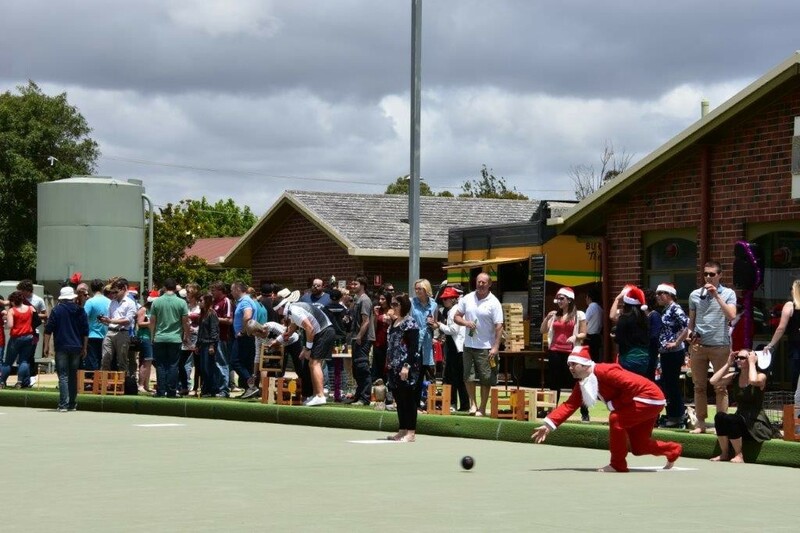 Hire a bus and bring your staff to Hahndorf and Hahndorf Bowling Club for your end of year Christmas party. Father Christmas dropped in for a bowl!! After a thrilling afternoon of bowling, eating and socialising the ‘Mangoes’ in front of a crowd of 140 cheering Jurlique spectators went on to win the final by 6 shots. The atmosphere was one of good cheer and enjoyment, not to mention competitiveness, as many tried their hand at lawn bowling for the first time. Those pensioners, so frequently portrayed on a bowling green make it look so easy when in reality it is really quite a challenge! It was a delight to host such a cheerful and happy group. We extend our thanks to the organisers and those who volunteered their help to make the day so successful. Please contact Val Deeble (Secretary) on 0429 692 168 for availability, rates and details. Download HBC – Hall Hiring Form 2017 v5 for further information.